Earth science is a fascinating subject. To help you teach earth science, either in public school or in homeschool, here are free printable geology lesson plans and earth science worksheets. Look for charts, graphs, maps, activities and printables to explore geology, rocks and minerals and earth science. 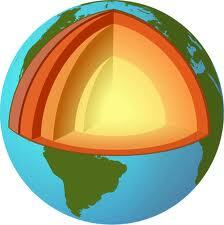 Geology has free printable geology lesson plans and earth science worksheets. You can print charts, geographical maps, geologic maps, periods of the earth, rocks and minerals, earth structure and diagrams that demonstrate plate tectonics. Look for earth cut-away models, soil layers, volcanoes, ring of fire, the relationship between volcanoes and earthquakes, carbon dating, how fossils and fossil fuels develop, rocks and minerals and more. National Geographic Kids is a superb resource for worksheets and lesson plans on earth science, rocks and minerals and geology. Scroll around to find specific earth science activities you need. Teachers and homeschool parents don't miss the huge assortment of geology and earth science printables awaiting you! Next, spelunk (that's explore in geo-speak) your way over to the Geological Society of America for dozens of free printable geology lesson plans. Who better than the GSA to teach kids about earth science, geology, rocks and minerals, ages of the earth models and other earth-friendly topics? Visit Discovery Education for free printable earth science lesson plans. Click the age/grade you need and then click "science" to find free printable geology worksheets, activities and printables. Mining USA has some useful educational free printable resources geared specifically to coal mining. National Geographic is the best, hands-down, all around site for earth science lesson plans, geology worksheets and rocks and minerals information. Look for many free printables for teachers and homeschoolers.